Being an admirer of Noh, I have watched Noh performances many times. 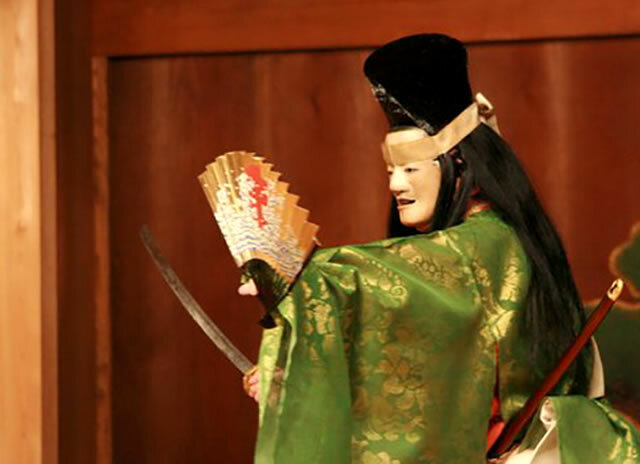 I take here the opportunity to say that although I prefer it when it is performed by professionals, I have also a particular fondness for Noh performed by dedicated groups of Noh personal hobbyists. Each of these groups brings something special to Noh, something of their own idiosyncrasy and particular character. In the past, in order to have more of this sort of Noh flavour, I used to watch the open to the public test performances, given by individual, hobbyist students of Noh, at the Kokuritsu Noh Gakkai in Tokyo. I was delighted to see how the students, being of various ages (including old people) and coming from so many different social strata and ways of life, gave each his or her own rendering of a posture or stanza from a Noh play. I feel ashamed to confess that this was my first time to watch Noh performed in Kyoto. On the other hand, I had been expecting such an opportunity. 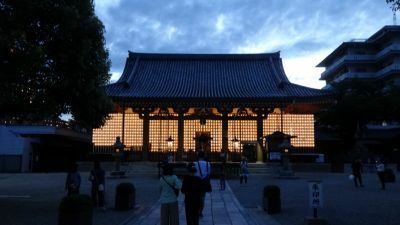 Only, I had imagined it would be somehow different: It would be in front of a shrine, with fires flaring on both sides of the stage, in a hot summer Kyoto evening. It was not as romantic as that. It was in a Noh theater, reverently stained with the marks of time and the long service. I was sitting not in an audience consisting only of Japanese, forgetful of my own, western appearance, but among many foreign spectators, mostly students of the various universities and research centers of Kyoto, being one of them. It was a performance organized by Japan Foundation and it was kindly meant for these students and researchers, in order to introduce them to the world of Noh. 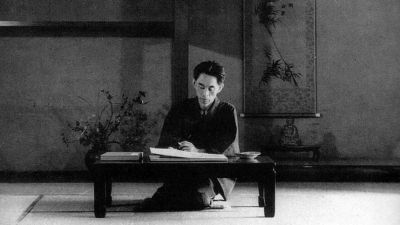 Recognizing, of course, as I do, the kindness and, what is more, the necessity of the initiative, I must also note that the lesson-like character which, unavoidably, such a performance tends to have, results in losing, to a corresponding degree, something of the spirit of the Noh-for-the -Noh character, or of the spontaneity and the genuinness of the atmosphere that I have experienced at other times. I mean this not for the performance, which was one of the best I have ever seen, but for the atmosphere as a whole.The performance made me quickly forget about the surroundings, as well as of everything else, and become absorbed in it. 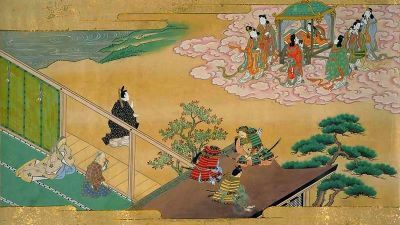 While, as I said, I have seen many Noh and Kyogen plays, I do not know why I had never happened to see those two ones, the “Two Daimyo” and the “Kiyotsune”. Hence the “first time” was also an element which added to the fascination of the performance. The Kyogen was one of the most comical I have ever watched. The two daimyos, imitating the voice of roosters or the movement of rolling daruma dolls, remain since in my mind and it seems pretty certain that they will stay there for long, becoming even unforgettable. “Kiyotsune” was one more portion of the Noh magic, that I am always taken up with, every time I watch a performance. But, at last, where, in what exactly lies this atmosphere of strangeness, this mysterious aura emitted from the stage? This question is one that always probes my mind. I tried this time too to find an answer, to pin down the source of the eeriness, ending up, again, in a failure. Unfortunately, as so many other things, the yugen feeling is impossible to analyze and express in words. But, then, the inquiring mind insists, how did the creators of Noh achieved the ability to transmit to their audience such a feeling? How else but by making consciously use of some means, which they knew or, at some moment, found out, that they create this result? Would then not be possible that we, through trying to find out what elements create that atmosphere, trace the steps of that procedure back to their mind? Or at least, lowering a little the ambition, by pinning down these elements, understand simply how the eerie atmosphere is created? Such thoughts made me try, at moments, to break for a while free from the veil of magic and step back as a mere observer. Some answers did come. For one, what I could call “unnaturalness” would be one of the elements responsible for the creation of the feeling of strangeness. For instance, the size of the body and the stature of the tsure is made to look bigger and higher than nature. The fact makes the actor not only a more imposing figure, but also something unnatural, I would even dare say, something bordering on the non-human, or, even further, on the territory of the monstrous. The extra large clothes seem to be the factor which is responsible for this. The actor is a shimmering, extra wide figure. Further, because the body is hidden, and the largeness gels the upper hand over its volume, he is also almost a flat figure. Even a step further the sight pushes the eye to go, and then he becomes almost just a large costume, moving slowly by itself, while floating or even hanging in the air. On top of such a large figure, the masked head is small in proportion. This unusual, again unnatural proportion, adds in its turn to the strangeness too. Then, there is the sense of the double layered face (i.e. again something unnatural), which one can see especially from the profile: the mask does not contain the face, it is only placed on it. This gives the two layers, strange impression. Further, especially in the case of the tsure: she is human but also, because of the emphasis on the dress and of the immobility of the face, also at once an enormous doll. The unnatural combination of the two, mutually contradictory elements, also contributes in the feeling of strangeness. But even after such attempts at rationalization, something is left out, something that defeats understanding and verbal expression. The eeriness produced by that, for ever immobile smile on the wooden face; the feeling of how nicely it combines with the slightly forward and downward inclination of the head; and then, also that other feeling, for which 1 cannot find a word, which is produced by the combination of the same, black smile with the melancholy of the face… These are things which should rather be left in what they are, just by themselves. Analogous things could be said for so many shite figures too. The one of Kiyotsune is not exception, in looking also like an enormous, supernatural doll, under the large garments of which one feels there is only air and no body. But, so that we do not take up space delving deeper. 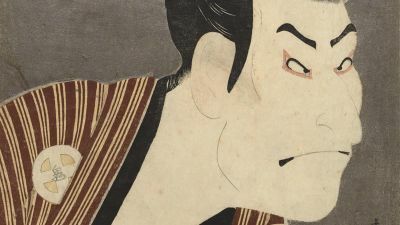 There are so many Noh plays, in which the main actor is the spirit of a dead, who appears to relate the conditions of his death and say also something about his present state in the other world. A dead is the protagonist. For this reason Noh can be perceived, as to a Iarge extent a theater of the dead. In this sense, at least to my knowledge, it would be unique as a form of theater, and would find its only counterpart only in ancient shamanistic spirit possession dances. But why should such a theater, with a dead as a protagonist, exist? Why should he himself, and not someone else for his part, do such a narration? Did, may be, the need of communication with the departed, dear ones, brought it into existence? Yet it is not always such dear ones, relatives, husbandsor wives that appear in that role. Many times spirits of unknown dead, spirits which haunt a place, make their appearance to the rest of the actors. No, the centre of the plot is the narration by a dead person in general, of the conditions of his death and of the present state in the other world, usually being one of salvation. 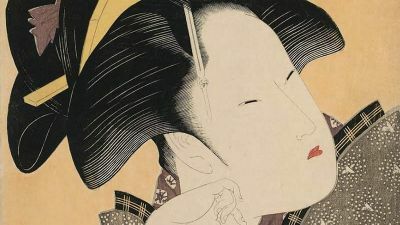 If we could answer the question why should such a narration, by a dead himself, be rendered necessary, or be rendered worth constituting the central element of a theater, we might be able to touch the essence of Noh. And that essence would then be something lying further deeper than its character as a tragedy. The tragedy lies in what is narrated, in the content of the narration; but if the narration itself by the dead is a more central, constituting element, in it must be found something more essential. This reveals that it was not only the tragic situation in which he found himself trapped, that made Kiyotsune take the fatal step. But a more general look at life, produced or reinforced by that situation. This would make the explanation of his death,which constitutes his narration, an even more general explanation, making death resulting from a general outlook on life. One, given more space, could probe this sort of questioning deeper. I will end presenting my own answer to the why of such a narration: without ruling out the particular needs that it serves, I have a feeling that by explaining one somehow rationalizes. By rationalizing death, one smoothes down somehow the sharp edge of its absurdity, its illogicality. I have heard many times the dictum that the Japanese do not care about death, that life and death are in some way the same, etc. 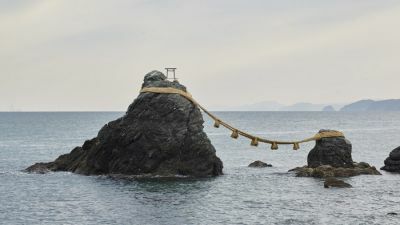 I think that death is for the Japanese as painful as for all who share our common human nature, and that in their long tradition they have tried to find ways to soothe it. Giving it some explanation could be one of these ways. Making, in Noh, the dead himself to give it, renders it more tolerable and bearable. 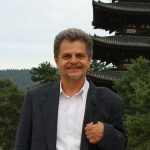 Stelios L. Papalexandropoulos was born in Greece. 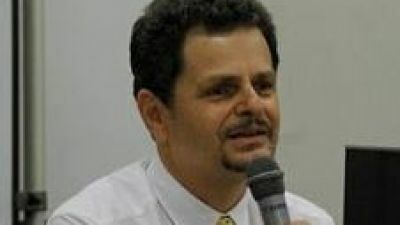 He graduated the Theological School of the University of Athens, Greece, where he is teaching now History of Religions. 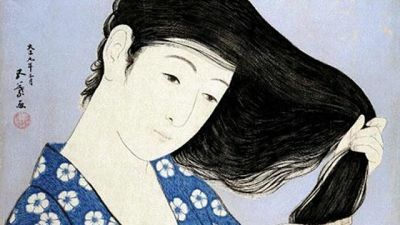 He did postgraduate studies in Switzerland and Japan (Tokyo University) specializing initially in Nishida Kitaro philosophy. In an interim he did research in Japanese mythology, resulting in a book on the cosmogony in Kojiki. 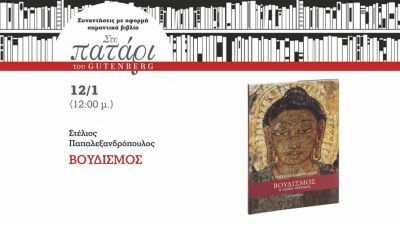 He then returned to the research of Japanese Buddhism and wrote a book on Dogen. 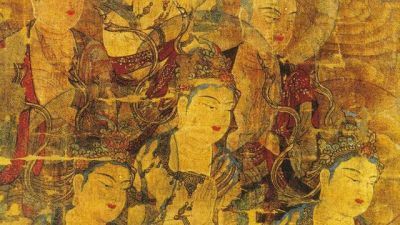 He has also written a history of Japanese Buddhist art during the Asuka and Nara period. 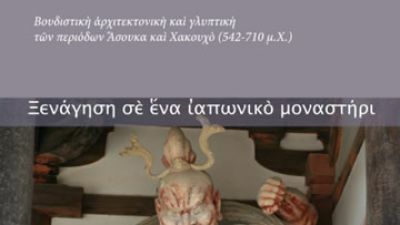 Besides he has translated Japanese literature into Greek (Shiga Naoya, Ueda Akinari).Last time he stayed in Japan was at the International Center for Japanese Studies (Nichibunken).